Is there anybody who doesn’t like pizza? Not in my family, no. I’m instantly very popular, if I’m making pizza for dinner. Let me show you how you can do this, too. You need only basic baking stuff for the dough and bits and pieces from the fridge for topping. Easy-peasy. I will give the ingredients for two pizza dough for a 11” by 17” (38cm*43cm) baking sheet. (I’m not using round pizza baking sheets, too small for us. No one ever complained about the rectangular shape.) I’ll tell you how to freeze half the dough, saving you time next time. Handheld mixer with dough hook, large mixing bowl, rolling pin, baking sheet. 30 minutes for prepping and baking the pizza. This last part can be cut in half almost if you enlist some help from the hungry crowds for chopping and putting on topping and stuff. Have your read my bread recipe? You’re all set, pizza dough is made exactly the same way. Go ahead and jump to the next section. Add the yeast and sugar to a cup of warm (never hot!) water, stir and let it foam. Measure the flours to a large mixing bowl. Add salt. 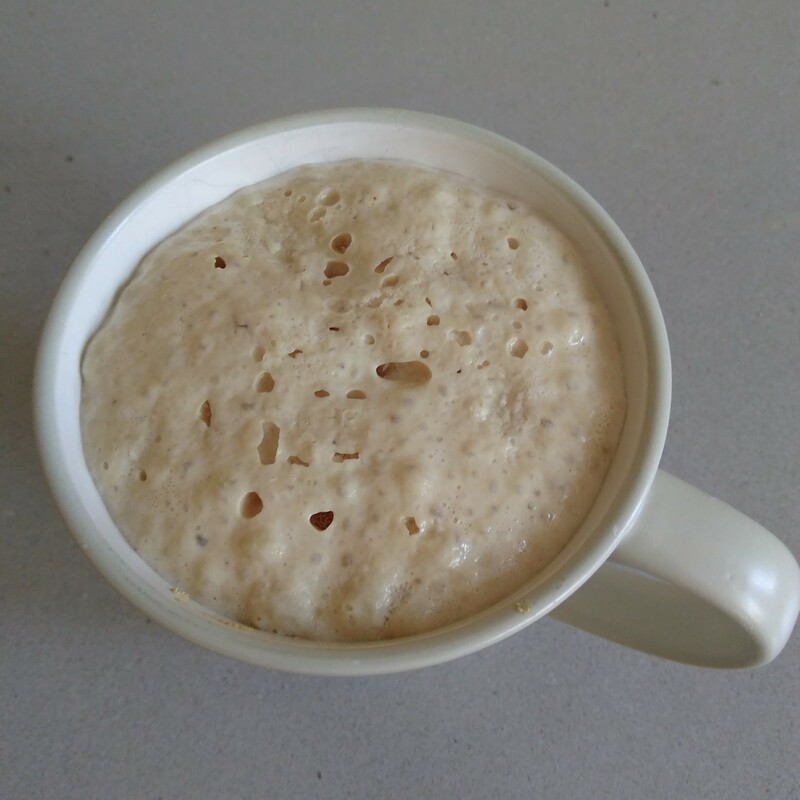 When the yeast is foamy, pour the whole thing to the flour and add half a cup of warm water. Start mixing on low setting. Continue mixing. If there’s dry flour around, add more water, little by little. 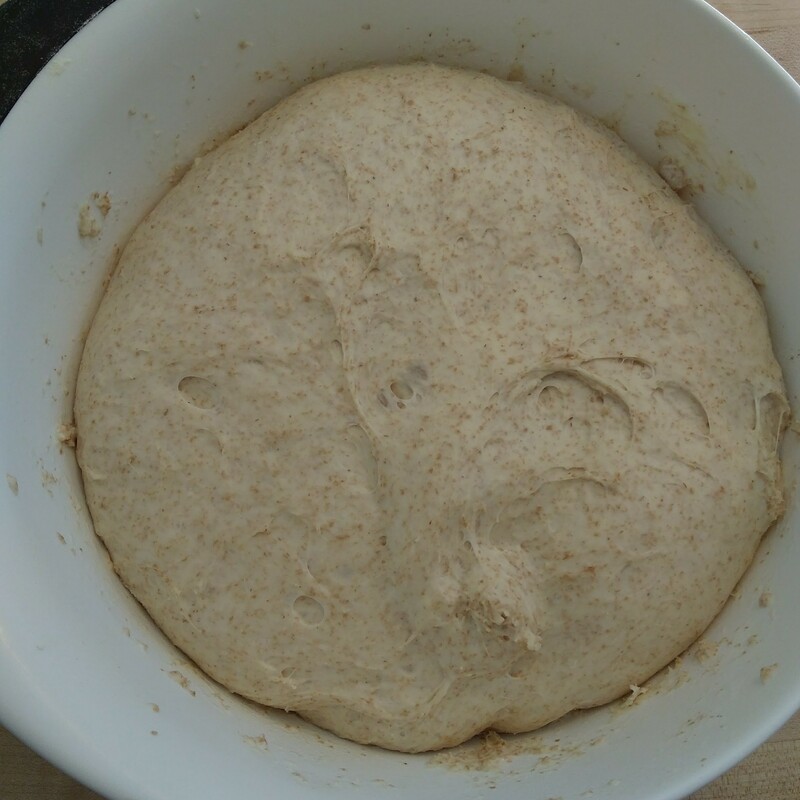 The dough is ready when it forms a ball. You want it to be neither too sticky nor too hard. Somewhere in between, nice and smooth surface, not sticking to your fingers, with some give if you touch it. Cover it with food wrap or a tea towel and let it rise in a warm, draft-free place for an hour or so. After the dough has doubled, get a medium sized zip-lock freezer bag. Put a spoonful or two oil in it. Put the dough on a work surface, cut it in half. Form a ball from one half, and put it in the bag. Move it around in the bad until it is all oily. Squeeze the air out, close the bag and freeze the dough for up to 3 months. When you are ready to use it, put it in the fridge the night before, and let it come to room temperature few hours before you want to use it. When the dough had doubled and you froze half of it, form a ball of the other half. Put parchment paper in the baking sheet. 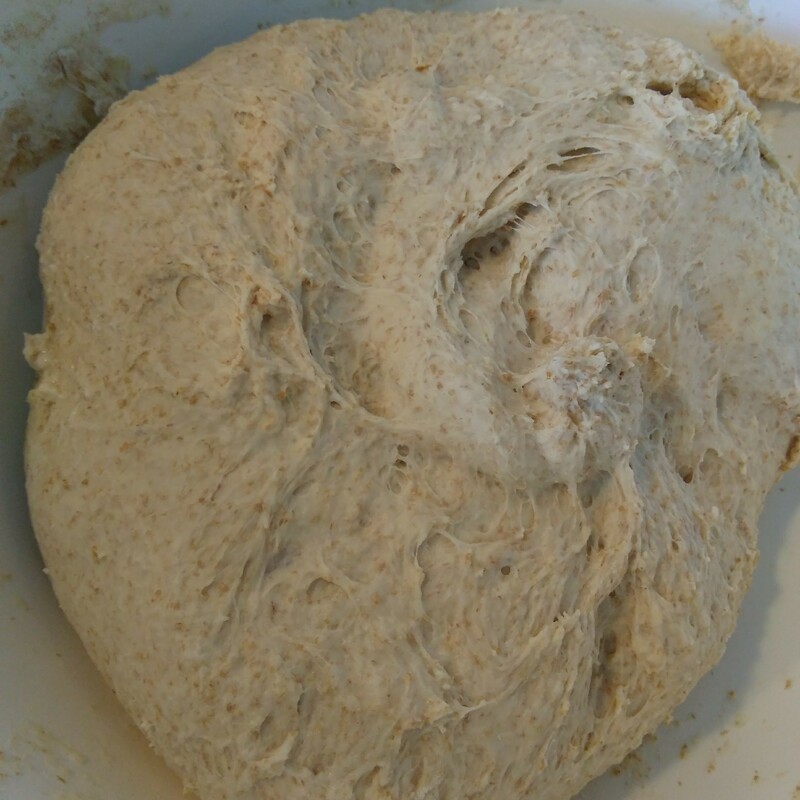 Roll out the dough to the same size as your sheet and lay it on the sheet. Preheat your oven to 500 F. It’s the highest setting mine can go. Prepare the tomato sauce: Add onion powder, garlic powder, oregano, basil and a pinch of salt to the tomato pure. You can add a little water if it’s too thick. I can saute it a little if it is too watery. Put the pizza on bottom rack and bake for 7 to 10 minutes. Also very good, sour cream with lots of garlic powder and chicken cubes for topping with your favorite veggies. With or without cheese.